IDS understands that your goal is to sell cars not become computer experts. 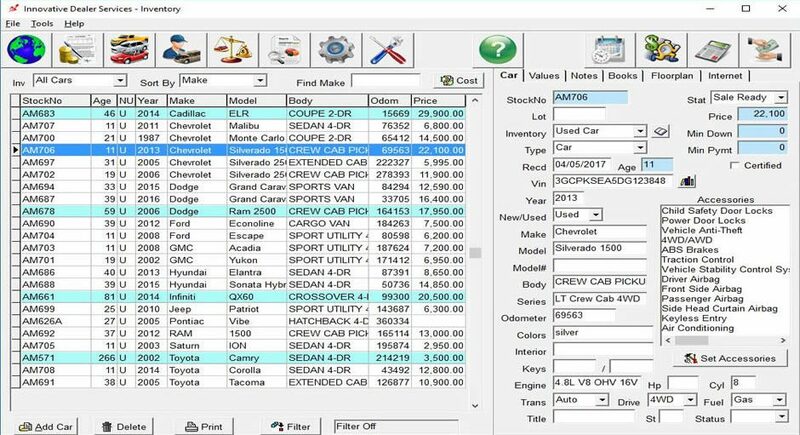 IDeal was designed so that a new user could sit down and do a car deal with little or no training. IDeal can send your inventory data with pictures to any online market place you choose. 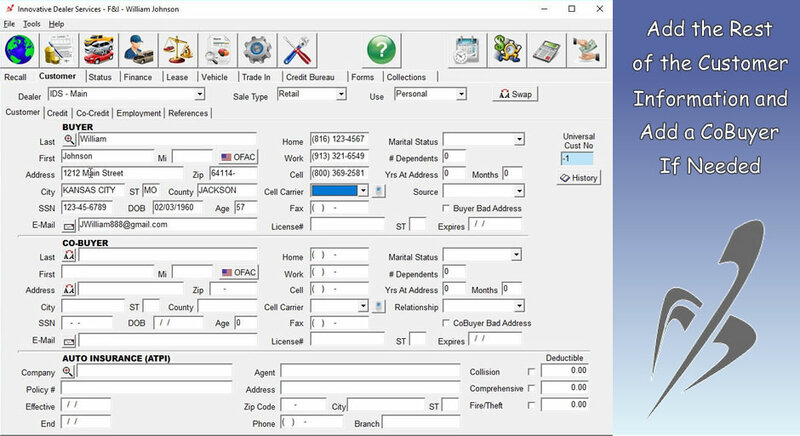 CRM Integration is also available. Customer Support and Ease of Use are the corner stones of IDeal. 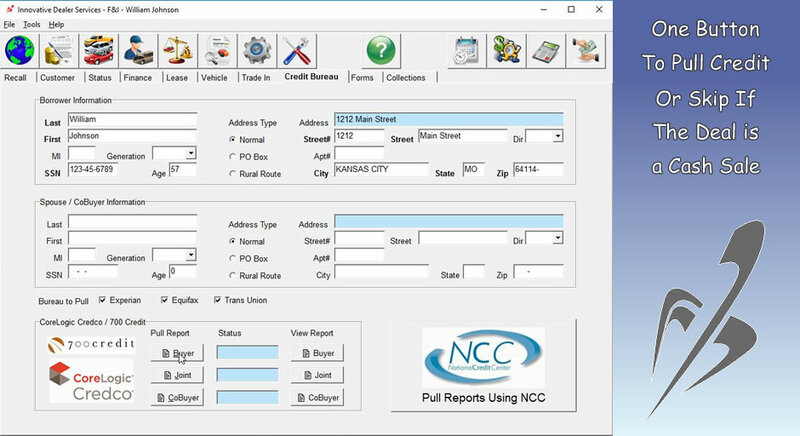 When you do need support IDS will connect up to your computer and bring years of experience to quickly solve the issue. Innovative Dealer Services works with cloud hosting specialist to offer a cloud based solution. 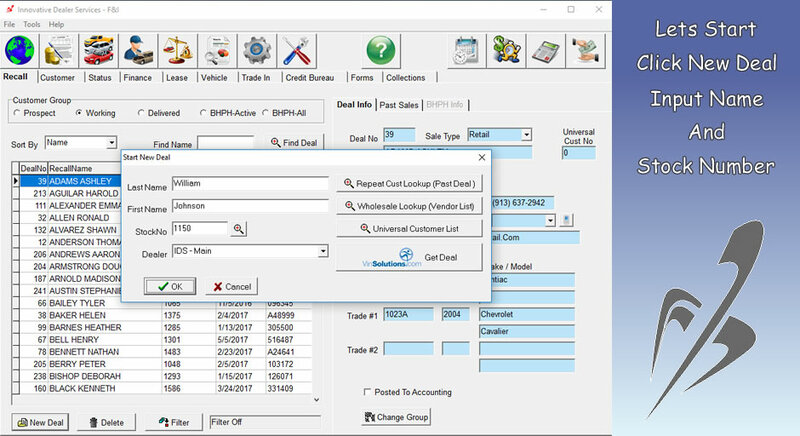 The Cloud allows you to access IDeal from multiple locations. Since its inception IDS has never raised the fees of an existing customer or charged for program updates. 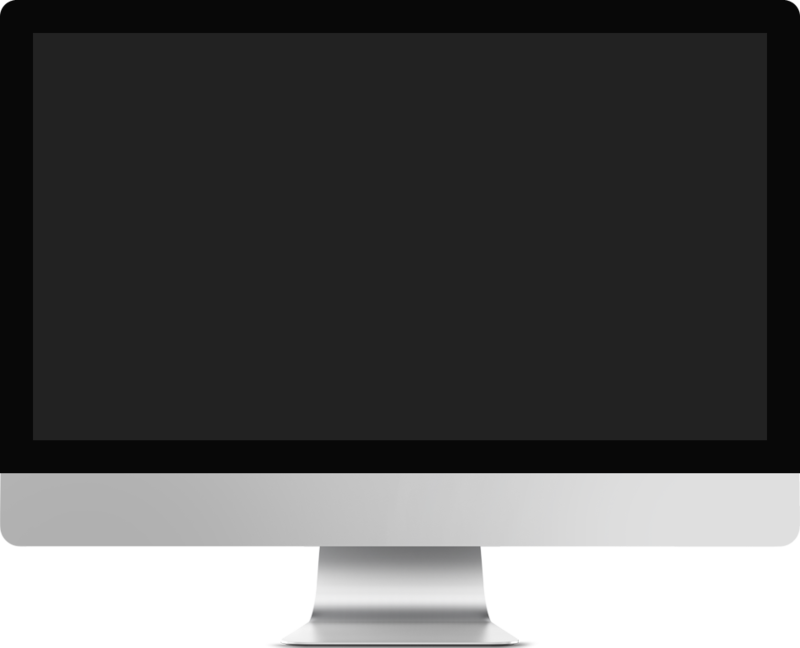 We value you as a customer and do our best to provide you software that is a good value. 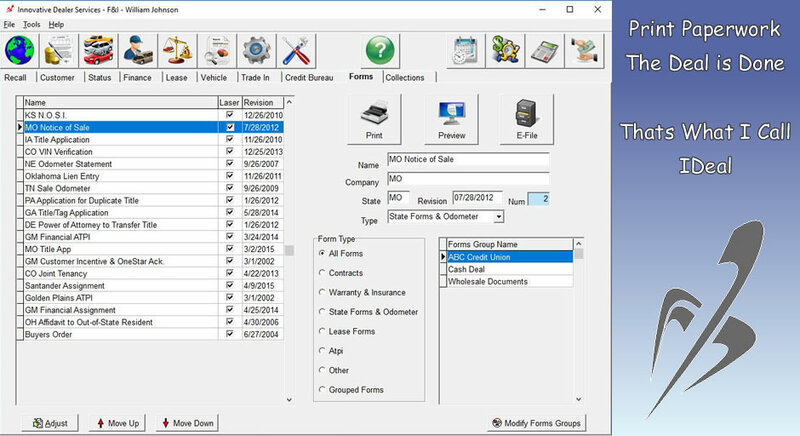 Innovative Dealer has teamed up with Laser forms providers to offer laser documents. Print most if not all documents on plain paper. Innovative’s F&I module is designed with a finely balanced blend of Simplicity, Speed, and Functionality. 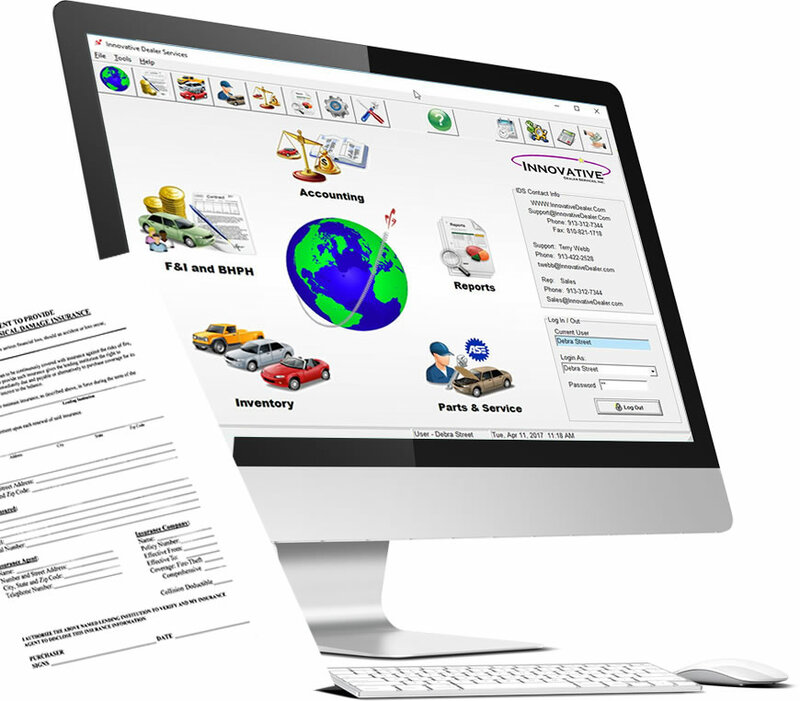 One simple click moves you between customer, finance, vehicle, and forms screens. 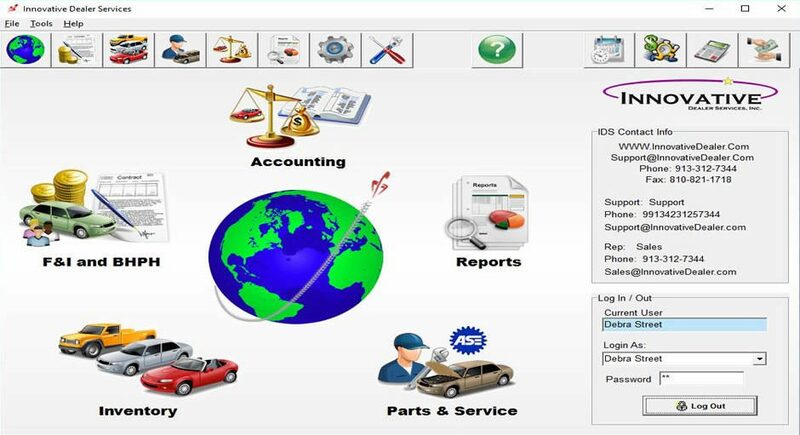 IDeal Accounting is a fully functioning accounting system that caters to the unique demands of an automotive business. 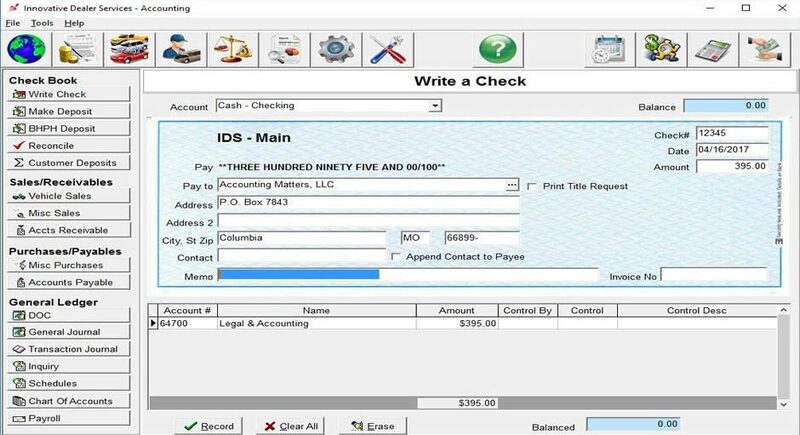 A true Single Entry system that creates accurate, consistent accounting entries automatically when an accountable transaction is entered into the system. 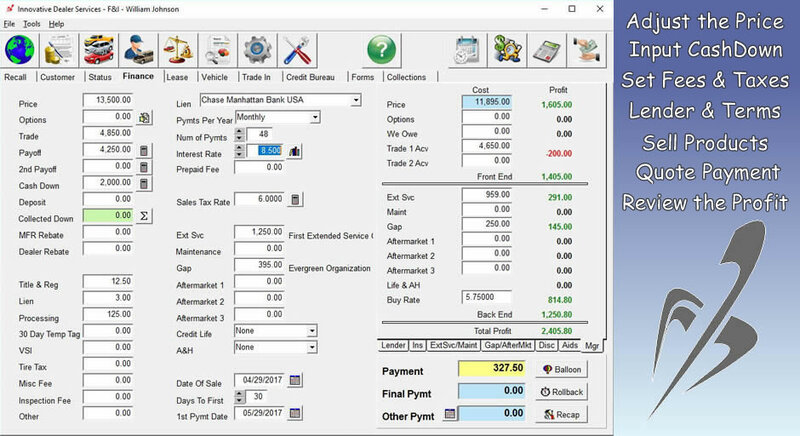 The IDS Integrated BHPH Software gives you the tools to help protect your investment and your receivables. 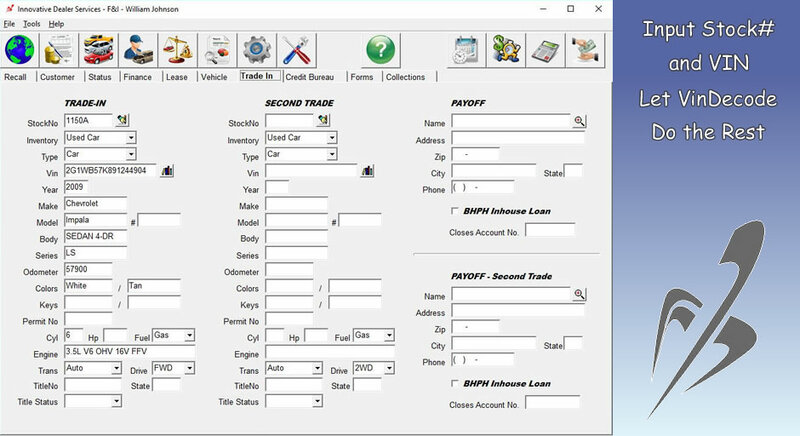 IDS has a system designed to meet your needs, whether you are a Note Lot or just tracking the occasional dealer finance notes. Always know “Who’s due”,”What’s due”, and “When it’s Due”. IDeal parts and service is IDeal for buy-here-pay-here operations doing service work for their customers. Shop tickets can be added directly to a loan, paid by cash, or sent to accounts receivable automatically. Warranty repairs, whether inhouse or outside company, are no problem. Our used car dealership has been using the IDeal program for over fifteen years. We are extremely satisfied with the product and service provided. We have in the past and will continue to refer Innovative’s IDeal program to all of our friends and associates in the industry. I have used many systems over 20 Years, None of which has the Simplicity of Innovative. Not to Mention the customer service is top notch! Thank you to Tammy and Terry for their Dedication! J’s Auto has been using the IDeal system for 7 years now and are very happy! The service is fast and easy. You get to know your Support Reps so well they practically become family! I would refer IDS to all used car dealerships! We love IDS and use it daily. It is one of the best time saving programs we have ever used. It is a user friendly system coming from someone who has used several other programs. Tammy is a life saver when it comes to answering my questions and helping me out when I need it. IDS is an excellent, cost efficient DMS and their customer service is remarkable. 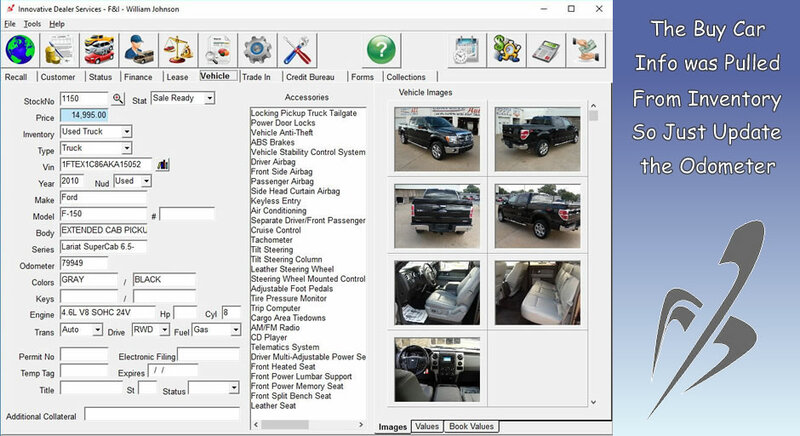 We highly recommend them to anyone looking for a quality dealer management system. 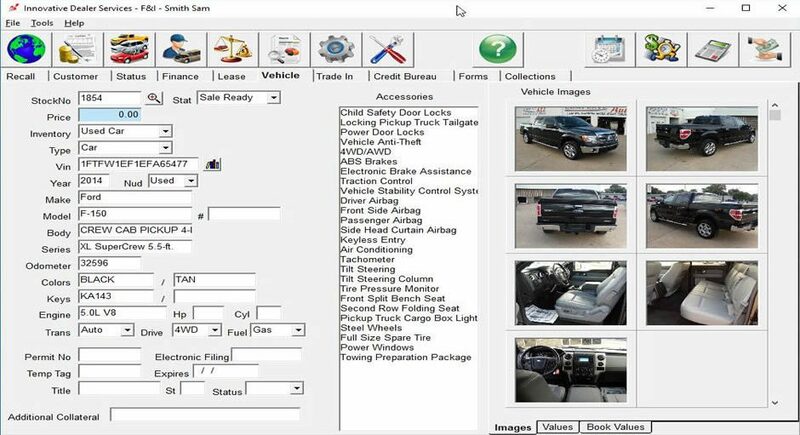 We have used Innovative Dealer Services as our main management system for our dealership since 2013. I find the system very user friendly, and the support staff is very knowledgeable and helpful. I never have a problem contacting them whenever I have an issue that I need help with. I would recommend IDS to anyone wanting a reliable, user friendly and affordable operating system for their business. Copyright © 2017 Innovative Dealer Services. All Rights Reserved.